It's said that the more natural light that penetrates a house, the more welcoming the home itself feels. Studies have shown that natural light in a home increases both productivity and comfort of its inhabitants. The best way to add to the ambience of an interior space is to install windows, but not just any type of window installation will do. The art of letting light into a house enhances the interior decor, and doing it right is important since it affects the overall look and feel of the interior. 1. 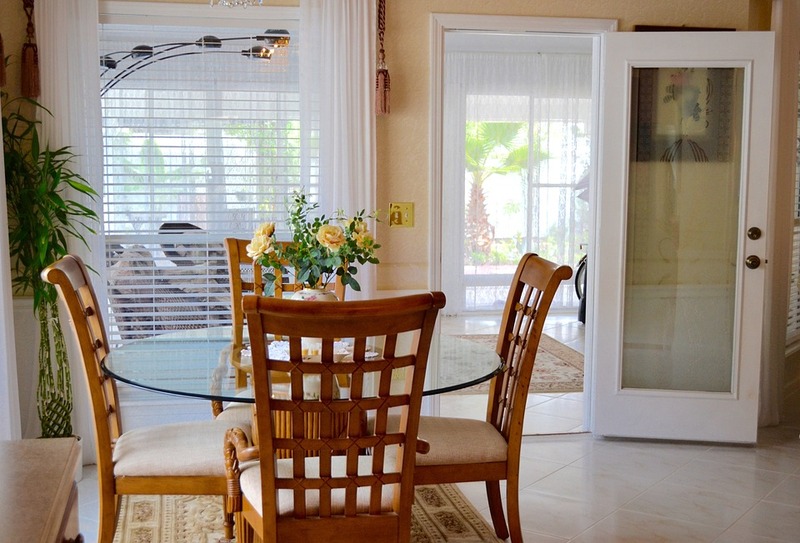 Ensure proper light penetration: Don't cover the windows with curtains. Instead, leave drapes up and blinds uncovered during the day to let more light into the interior. 2. Proper placement allows for better airflow: In the warmer months of the year, it is extremely important to set up airflows that keep the interior space cool via selective placement of windows. Interior air-circulation is key in situations like this. 3. Clerestory windows: An architectural throwback that has great use in today's designs. These windows allow for a different angle of light penetration and is great for ventilation as well. 4. Bow windows or Bay windows: These windows can open easily and make a house look great from the outside. What's more, they let in a lot more light than conventional windows and in bay windows the side fixtures can be opened to allow better airflow as well. 5. White light: In the past, the economic considerations of lighting meant that incandescent bulbs would be used. Now, more natural and energy efficient fluorescent bulbs allow for a more natural cast of light to enter a home. 6. Expanded windows: Replacing windows with wider versions (picture windows etc.) doesn't require a lot of modification to a house, but those windows are more suited to letting in natural light than regular ones. 7. Windowed doors: Exterior doors are the entranceway to your home. Replacing them with a door that has a windowed surface adds to the look of the home as well as allows for better light penetration than a solid door. 8. Consider sliding glass doors: If a windowed door doesn't allow for enough light penetration, the sliding glass door is a much better solution. These doors allow for complete penetration of insolation, and shades or drapes can be used to control the incoming light to avoid glare. 9. Evaluate all of your options for window installation: This would require a thorough assessment of the property to figure out where a window would be best suited. Installing a new window is a tricky process and a consultant should be brought in to locate the best places for the new installation. Trying to do it yourself could cause more harm than good. 10. Casement windows: These windows are double hung and let more light in than standard windows. They can be used in situations where picture windows would be untenable. The feel of the interior of a house depends on both the layout as well as the decor. Proper lighting via window placement can make a world of difference when it comes to the feeling that the interior of the house evokes. On the upside, companies such as Canadian Choice Windows deal with individual design and cost-effective window solution options that span a wide range of choices. Contact us today to find out how we can help improve your home. How Do I Order Replacement Windows? Do Professional Window Installers Actually Produce Better Results?